Marlee Matlin talks about her part in helping the Extreme Makeover project at the Oregon School for the Deaf in this video. Famed horror movie director Rob Zombie helped to design the haunted house for the Oregon School for the Deaf. Here's a video interview with him about it. The work done by the TV show Extreme Makeover: Home Edition on the Oregon School for the Deaf will be unvieled on tonight's show. It airs at 8pm Eastern, 7pm Central on ABC. See a video preview with Marlee Matlin here. Clarke Schools for Hearing and Speech in Northampton, Massachusetts is looking for someone to buy or lease some of its buildings. The oral school started in 1867, but has gone from more than 40 students living on campus in 1995 to only 7 now. The real estate has some value because the campus is close to Smith College and downtown Northampton. The Oprah Winfrey Show featured a Sound of Music reunion this week. Members of the movie cast gathered to reflect on the hit film and Oprah spoke with people who say their lives have been changed by it. One of these was Kaitlyn. She was born profoundly deaf, but at age 5, she received her first cochlear implant. "The very first music I ever heard was Julie Andrews singing 'The Hills are Alive,'" Kaitlyn says. "It was an awakening experience for me. It was as if someone put a 30-piece orchestra and stuck it inside my head. I was overwhelmed after living in a life of silence." When it comes to her favorite things, Kaitlyn's is music. She's now mentoring sign language interpreters who work in the theater. "The Sound of Music changed my life," she says. Federal prosecutors say Frisbie Memorial Hospital in Rochester, New Hampshire has agreed improve its services for deaf clients. Two people had filed complaints about not getting proper medical help at the facility because they were not provided sign language interpreters. They will receive a $35,000 settlement from the hospital. In September, Nashua's St. Joseph Hospital made a similar committee wiht prosecuters. In July the city’s other hospital, Southern New Hampshire Medical Center, did the same thing following complaints about a failure to provide interpreters. None of the hospitals are admitting liability. The first WORLDEAF Cinema Festival will take place at Gallaudet University from November 4-7. New films with connections to the the deaf community, workshops for aspiring filmmakers and actors and an awards night involving a competition of more than 170 films. Marlee Matlin will be a presenter. One of the keynote speakers will be Hollywood producer Samuel Goldwyn Jr. Other speakers include the stars of Hamill, a film that's based on the life of deaf wrestler Matt Hamill. The owners of a deaf service agency in Maryland has plead guilty to conspiracy to commit mail fraud yesterday in a New Jersey courtroom. John T.C. Yeh and brother Joseph Yeh owned Rockville-based Viable. They admitted trying to defraud the FCC's Video Relay Service program by paying people to make fake calls. They submitted about $55 million in claims to the federal agency, asking for reinbursment. Other charges were dropped in return for the guilty pleas. The brothers face 20 year prison sentences at their February 9th sentencing. 24 other people from around the country also faced charges. At least 11 pleaded guilty in the past year. John Yeh has been a part of National Asian Deaf Congress and National Deaf Business Institute. A trustee of Gallaudet University, he was selected by Deaf Life magazine as Deaf Person of the Year in 2008. New York's Snap!VRS agreed to aquire Viable last year, pending the outcome of the investigations and prosecutions. A new pilot TV show in production for ABC Family will featured a deaf character. The drama called Switched at Birth tells the story of two teen girls who discover that they were accidentally switched at birth. One grew up in a wealthy family while the other lost her hearing as a child due to meningitis and grew up with a single mother in a poor neighborhood. The families meet and try to learn to live togehter. ABC Family put out a wide casting search for the role of the deaf gilr, looking for deaf and hard of hearing actors for the part. Newcomer Katie Leclerc was selected. She has a rare disease that affects hearing and balance. She is fluent in American Sign Language. The network is currently casting two more deaf or hard of hearing actors for other roles in the series. The Kentucky School for the Deaf is getting more than $50,000 from several funds to provide new programs and equipment for the campus. Contributors include the Perkins Reserve Fund, the Honorable Order of Kentucky Colonels, the Hudson-Ellis Foundation and the Kentucky Humanities Council. Middle and high school students at the school will get job training in visual communication arts with an academic focus on language arts. Some of the funds will go to the audiology department for a state of the art digital hearing aid analyzer. Deleware's governor attended a ribbon cutting ceremony for the new Rhode Island School for the Deaf. Construction began two years ago on the new facility. The 23 classrooms will house students from preschool through 12th grade. attend the school which now has 23 classrooms. There are two science labs and a newly renovated gymnasium. An Extreme Makeover show featuring the Oregon School for the Deaf will air tonight on ABC. The special Halloween-themed show focuses on the school's popular annual haunted house. The Makeover team renovates the 12,000 square foot basement where the Nightmare Factory is usually held. Marlee Matlin also surprises the students during their free trip to the Starkey Hearing Foundation in Minnesota. A new study shows New York can damange your hearing. Researchers checked noise levels at 60 places and most of them reached above 70 decibels. Sound levels over 85 decibels can lead to hearing loss, but even lower levels can harm hearing if these levels persist. And low, but steady noise levels can lead to other health problems, including stress, risk of heart disease and sleep disruption. Columbia University's Mailman School of Public Health is presenting the study at the International Conference on Urban Health at The New York Academy of Medicine. A deaf 5th grader in Omaha, Nebraska was dropped off at the wrong bus stop. Jayman Washington's family had moved to a new place three miles from the old location. School policy requires bus drivers to wait until the student is inside the house before leaving, but the bus driver took off as soon as Jayman was out the door. School authorities are refusing to say whether any disciplinary action would be taken against the driver. A deaf Chicago woman says a local hospital is refusing to keep its promise to provide her with cochlear implants. The hospital calls it a misunderstanding. Here's a video report from the Chicago Fox station. Read the story here. A lawsuit filed against Norwegian Cruise Line has been settled. Five deaf and four wheelchair-bound passengers who took cruises in the Hawaiian Islands accused the cruise line of ADA violations. If a judge approves the deal, Norwegian will pay $100,000 in damages and $40,000 in civil penalties to the U.S. Government. Plus, the Cruise Line will offer sign language interpreters and written transcript of the emergency drill. Wheelchair-bound passengers will get accessible bus transportation to the cruise ship and on shore excursions. The Wisconsin School for the Deaf has won the 8-man football championship for Great Plains Schools. Wisconsin beat Oklahoma 46-42 with an last minute interception deciding the outcome. Ultimate Fighter Matt Hamill is interviewed in this video after beating Tito Ortiz. A Syracuse, New York man had to fight for his right to serve on a jury. David Branfield was dismissed from duty a few months ago when Oswego County court officials found out he is deaf. After Branfield complained, court officials acknowledged his dismissal was a violation of ADA law. Branfield was put into a new jury pool last month. He wasn't selected, but had he been picked, court officials say Branfield would have been accomodated by letting him read the transcript on a laptop as it is written by the court reporter. The Oregon School for the Deaf's Haunted House is now open. Read more about The Nightmare Factory here. Deaf Ultimate Fighter Matt Hamill decisively won his match tonight and may be headed for a shot at the championship. He easily won a unanimous decision and may have put an end to the career of Tito Ortiz. Ironically, Ortiz was at one time Hamill's teacher. Ortiz recently made controversial comments about Hamill being an easy to beat opponent because Hamill has a "soft head" and lacks balance because he is deaf. The judges scored it 30-27, 29-28 and 29-28 for Hamill who improves to a record of 10 wins against 2 loses. Read details about what happened when ABC's Extreme Makeover: Home Edition visited the campus of Oregon School for the Deaf here. The Halloween-themed episode of the show is scheduled to air next Sunday. A Seattle man has become the first to receive an anit-vertigo device. Doctors at the University of Washington implanted it into his head yesterday. The vestibular prosthesis has a balance disorder called Meniere's disease that causes vomiting, vertigo and tinnitus. 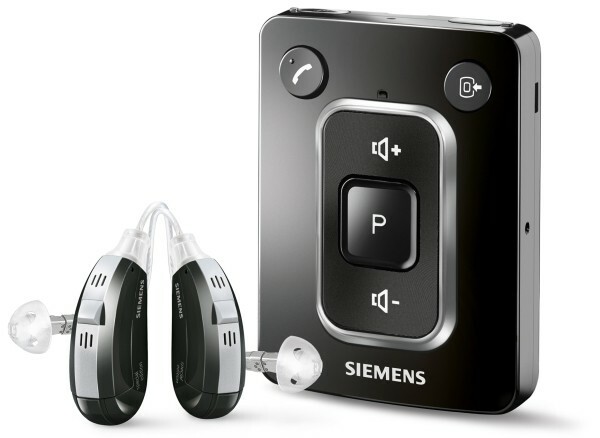 The device resembles a cochlear implant, but while a cochlear implant uses only one electrode to stimulate the auditory nerve. This device uses three shorter arrays to stimulate the vestibular nerve, which is crucial for balance. While it is not a cure, it is intended to relieve the symptoms of patients. The processor goes behind ear and is activated it when someone is overcome by symptoms. Dallas prosecutors believe they've finally got the right man in two sexual assault cases involving children - crimes for which a deaf man (Stephen Brodie) went to jail and was only recently exonerated. A Texas grand jury indicted Robert Warterfield today. The fingerprint of the convicted child molester was found at the scene of an asault that put Brodie behind bars. Dr. Benjamin is a member of the Association of Boxing Commissions' MMA Medical Subcommittee. An audit team says the West Virginia Schools for the Deaf and the Blind in Romney aren't doing their jobs. The state Department of Education group found problems with teaching materials, buildings, technology, food preparation, and weak security at the facility. The school is technically governed by the Legislature, but is expected to follow the same rules as public schools. "I've noticed he's deaf, so he has a soft head, you hit him with more and more shots. You hit them with soft shots because their equilibrium, they don't have no equilibrium. He's been babied his whole life coming from being deaf of course and he's going to be babied after when I knock him out." Ortiz later said in a Twitter post, "I want to apologize to the deaf community for the remarks I made about Matt it was uncalled for. He is a good fighter and I was out of line." The two will meet in the ring this Saturday in California. The father of a deaf girl, missing in North Carolina, says kidnappers set fire to his yard to distract him while they abducted his 10-year-old daughter. But police are treating the disappearance of Zahra Baker as a homicide case. Over the weekend, her father called 911 and told a dispatcher that someone set fire to his care and left a ransom note saying kidnappers had taken his boss' daughter. It turned out that she was safe. Zahra's stepmother is now in jail for writing the note, facing charges of obstruction of justice. An update on a story posted earlier: A civil rights groups now says a settlement has not been reached, as it indicted earlier, between deaf prison inmates in Virginia and the state's department of corrections. The Washington Lawyers' Committee for Civil Rights and Urban Affairs says inmates at Powhatan Correctional Center near Richmond are still working on a deal. A lawsuit against the state of Virginia by deaf inmates has been settled out of court. Inmates at the Richmond-area Powhatan Correctional Center had sued the Department of Corrections for failing to provide equal access to information and technology. State officials have agreed to install a videophone for visitors, provide sign language interpreters, and visual notifications about events. The FCC is looking for people to serve on two new advisory committees it is creating to help with emergency services for the deaf and blind. One committee is called the Emergency Access Advisory Committee and the other is called the Video Programming and Emergency Access Advisory Committee. The committees will help the Commission implement the recently passed 21st Century Communications and Video Accessibility Act which is intended, among other things, to bring more video captioning to the Internet and other media. The Commission wants nominees who either have disabilities or else have serves as advocates for the disabled. A new study of mice points to proteins in two genes as key players in the ability to hear. University of Minnesota Medical School researchers looked at how mutations in the genes can lead to hearing loss. Knowing which proteins in which genes relate to hearing can lead to developing drugs to save it. Details of the NIH-funded study are in the online edition of the journal PLoS Genetics. A part of Minnesota's Deaf and Hard of Hearing Service Center is closing next month. The Department of Human Services is shutting down the Rochester service center due to budget reductions. Employees may move to the Mankato office. Ultimate fighter Mat Hamill will fight again this Saturday. The deaf, one-time wrestler has nine wins against 2 losses and puts a four fight win streak on the line. He'll enter the cage against future hall of famer Tito Ortiz (15-7-1). The event will be pay-per-view from Anaheim, California. If Hamill manages to win, he may get a shot at the title. A moie about him called Hamill will be out soon. A greeting card business based in Idaho employs a dozen deaf women in China where education and job opportunities are minimal for those with hearing loss. The women make handmade mini-quilts for the cards designed by Kim Cheeley, owner of Itty Bitty Witty Knitties. It's part of a training programs designed by the Asia Project Grace in Kunming, the capital of Yunnan Province in south-central China. Asia Project Grace is a humanitarian mission effort that helps the workers learn Chinese sign language among other things. Find out more about the card company here and Asia Project Grace here. The Maryland School for the Deaf football team earned its 200th win yesterday. The Orioles shut out the Baltimore Freedom Academy by a score of 47-0 in their homecoming game. The decision for the team's to play each other was only made this week, when the Indiana School for the Deaf cancelled a planned contest with Maryland (more on that story is below). Fortunately, Baltimore had an open date and the team was willing to make a last minute change. School administrators say the incident that got players and coaches of the Indiana School for the Deaf football team resulted from "roughhousing and horseplay." School superintendent refused to go into detail about the incident that led to the cancellation of today's scheduled game against Maryland School for the Deaf. Apparently, the hazing and bullying was so severe that two assistant coaches lost their positions and the legal authorities had to be notified. The incident took place after last weekend's game against the Texas School for the Deaf in Austin. Marlee Matlin will be a part of the Celebrity Apprentice cast next Spring. The actress will attempt to avoid hearing "You're Fired" from Donald Trump each week. Matlin will be joined by La Toya Jackson, Mark McGrath, and Star Jones among others. Students from the University of Central Florida will sign the national anthem for every Orlando Magic home game this season. They will work in teams, with one student standing beside the singer and another giving cues from the sidelines. Some of the signers are deaf or hard of hearing. Few NBA teams provide ASL interpretation at their basketball games. There will be no football game tomorrow between the Maryland School for the Deaf and the Indiana School for the Deaf. The Indiana school has withdrawn from the contest, taken disciplinary action against some of the players and fired two assistant coaches. While administrators have not gone into detail, there was apparently an incident that took place during their their trip to Austin last weekend to play Texas. Someone was involved in valdalism and there was an accusation of sexual assault, but the school says an investigation showed there was no assualt. Indiana Deaf has has lost 20 consecutive games while the Maryland team, hasn't lost any games this season. Baltimore Freedom Academy has agreed to play Maryland as a replacement game tomorrow. UCLA and San Diego State University offers classes in all sorts of obscure languages, but not sign language. UCLA's student newspaper has looked into why and was told by administrators that it's "because no one has lobbied us for it." Yet no one at the large school demanded to have Mixtec, Aymara, Quechua, and Zapotec taught and yet they are. Read the full story here. Warren Miller of Indianapolis is looking for work. In his spare time, the deaf graphic designer is doing volunteer work. Read about his situation here. A deaf high school volley ball player is profiled in Florida's Naples Daily News here. The Moog School of Columbia, Missouri is holding a ribbon cutting ceremony today in celebration of a decade of serving deaf children and their families. The facility focuses on kids up to age six. There are 16 students enrolled now. It is the only oralist program in Central Missouri. KOMU-TV in St. Louis has a video report here. Siemens has created a Bluetooth box that sends music right to hearing aids. The new Simens miniTek is about the size of an iPod Nano. It receives audio from any Bluetooth device, such as a phone. It will even work with hearing-aids that are completely in the ear canal. A high school swim team with two deaf swimmers is profiled in this Fargo, North Dakota news site. Read it here. A Dallas man is behind bars for a crime that a deaf man was wrongly sent to prison for committing. Stephen Brodie spent a decade in jail for sexually assaulting a young girl in 1990 before he was exonerated of the crime last month. A fingerprint found at the scene didn't match Brodie's fingerprint. But police say it does match that of Robert Warterfield who was arrested today in relation to another different sexual assault. KSHB-TV in Kansas City offers a video report on a deaf high school football player. The text of the story can be read here. A girl missing in North Carolina hasn't been seen for a month, according to Hickory police. CNN has this report. 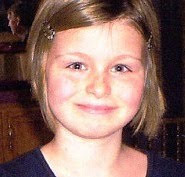 The case of a missing North Carolina girl is now being treated as a homicide. 10-year-old Zahra Clare Baker was deaf, was battling bone cancer and used a prosthetic leg. Investigators have filed charges against the disabled girl's stepmother, Elisa Baker, for writing a fake ransom note. No murder charges have been filed. But she also faces charges for writing worthless checks and larceny among other things. Here is a video from WCBS-TV in New York about sudden hearing loss. Read the story here. A video report from KTBC-TV in Austin about the Texas School for the Deaf homecoming. A New Kids on the Block member is becoming a major advocate for the deaf. 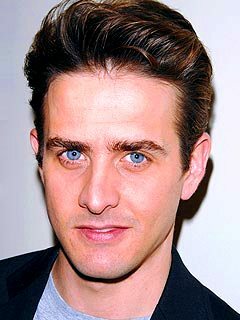 Joey McIntyre's life changed nine months ago, when he found out his son, Rhys, has hearing loss. McIntyre will perform Wednesday at a fundraiser for Massachusetts Eye and Ear in New York for The Center for Hearing and Communication. Former president Jimmy Carter and his wife were among those who joined Gallaudet President T. Alan Hurwitz to help with renovations of affordable housing units in the Ivy City, a neighborhood next to the Gallaudet campus in Washington, DC. The Ivy City neighborhood was founded in the 1880s, after Gallaudet was established. The event was part of World Habitat Day which starts the Annual Habitat for Humanity Carter Work Project. A new play about Thomas Gallaudet opens today in Hartford, Connecticut at the Old State House. Journeys of Identity was written by Garrett Zuercher and is presented by the National Theatre of the Deaf, a touring theater group composed of deaf and hearing actors. Besides telling the story of Gallaudet, the founder of the nation's first school for the deaf, the play will focus on its first teacher and its first student. A ten year old hearing girl is missing in Hickory, North Carolina. Zahra Clare Baker has an artificial leg and has not been since Saturday afternoon. Police arrested her stepmother on more than a dozen charges unrelated to the girl's disappearance. A new study of cats may explain why some deaf people have great vision. University of Western Ontario researchers found parts of the cats' brain normally dedicated to a lost sense can be used to strengthen another sense. Since cat brains are organized much like human brains, the results may mirror what happens in the brain of a deaf person. Rather than showing better overall vision, the cats showed improved peripheral vision and the motion of objects at very slow rates. Details of the study led by Stephen Lomber are in the journal Nature Neuroscience. He next wants to find out if these benifits hold true whether one is deaf from birth or if she loses her hearing later in life. An Extreme Makeover show featuring the Oregon School for the Deaf will air October 27th on ABC. The special Halloween-themed show focuses on the school's popular annual haunted house. The Makeover team renovates the 12,000 square foot basement where the Nightmare Factory is usually held. Marlee Matlin also surprises the students during their free trip to the Starkey Hearing Foundation in Minnesota. A Tucson company is facing allegations that it discriminates against the deaf. Community Providers of Enrichment Services told two qualified deaf individuals they would not be hired because of their disability, according to the EEOC lawsuit. The suit claims that during one of the interviews, an applicant asked for an interpreter but was refused, which is an ADA violation. The company hasn't responded to the charges. An Ohio deaf services agency is getting a $100,000 grant. The funds for The Hearing Speech and Deaf Center of Greater Cincinnati comes from Humana Communities Benefit’s Greater Cincinnati program. The nonprofit agency offers services in Eastgate and Mount Auburn. It plans to use the funds for a health information program. The alma mater of a Gallaudet coach is putting him into the school's hall of fame tomorrow. Kevin Cook now coaches the Bison's women’s basketball team and he be inducted into the Urbana University Athletic Hall of Fame following the Blue Knights’ homecoming game with Kentucky Wesleyan. Earlier this year, Cook was given the prestigious Carol Eckman Award, which honors one coach out of all the college programs for sportsmanship, commitment to the student-athlete, honesty, ethics and courage. President Barack Obama will sign a bill into law this morning requiring captioning of Internet videos. The 21st Century Communications and Video Accessibility Act requires video programming devices such as MP3 players and digital video recorders be capable of closed captioning, video description and emergency alerts. Remote controls will be required to closed captioning buttons that are easily accessable. The measure also gives the blind access to the Internet through improved user interfaces for smart phones. Any big company producing more than 60 hours a week of video will be required to include audio descriptions. West Virginia's State Board of Education has voted to change the curriculum at the state school for the deaf and blind. State education auditors found that some practices at the school in Romney are outdated. The state Department of Education will monitor the West Virginia Schools for the Deaf and Blind while administrators work for national accreditation. There are also security to security issues and building renovations to be addressed. The assests of an investment company will be frozen, according to the SEC. Investigators say Imperia Invest IBC targeted deaf people, falsely guaranting high returns investments but actually the company simply stole the money from investors. Imperia Invest raised $7 million from some 14,000 investors. More than 7000 of them from the deaf community. The company told people that they had to buy a Visa debit card to get their money back, even though the company was not working with Visa, according to the SEC. The District Attorney's office in Brooklyn has launched a news website for the deaf and hard-of-hearing here. It includes videos explaining available legal services. The South Dakota School for the Deaf will soon close. Parents of students at the Sioux Falls school had filed a lawsuit last year to stop it from being shut down. But a federal judge has ruled in favor of the state because there are only a few dozen students enrolled. Groups from Gallaudet University are traveling to Hait, to help Haitians left home from the devastating earthquake that hit the country earlier this year. One tent city in Port-au-Prince was set up just for deaf Haitians. New England Cable News offers this video on how deaf Americans are reaching out. Maryland and Indiana played the championship game this weekend in the SpikeOut XII games at the California School for the Deaf in Riverside. Maryland won the girl's volleyball title. Here's a video about the championship game. The head coach at the South Carolina School for the Deaf and the Blind has resigned, in the middle of the season. Don Creech said the move was for “personal reasons.” The decision apparently took Athletics director Kim Speer by suprise. Creech's team became national champions in 2008 and Creech was named national coach of the year in 2008. The team hasn't lost a game to a deaf school during the last two seasons. The IRS bothered to respond to just 339 calls from the deaf - out of 350,000 calls. During the 2010 filing season, callers to the toll-free TTY/TDD help line reached Internal Revenue Service assistance only 8.8% of the time. The telephone number is listed on most IRS notices.